Established in 1858, the Ponderosa has long been a stop-off point for travellers on the main Belfast-Derry road. 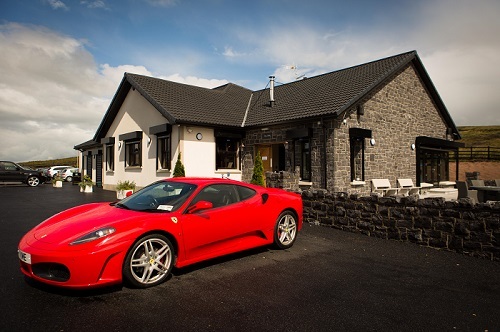 Situated on the stunning Glenshane Pass, it’s Ireland’s highest bar and restaurant. Thanks to a major refurbishment in 2014, the food is as good as the view. The old building structure is still intact but now is home to a light, airy restaurant featuring fresh seafood, burgers, steaks and dishes like braised Slaney Valley shank of lamb and Silver Hill confit duck leg. Business is so good they now serve a daily sit-in breakfast too. Head chef Eddie Clynch changes the menu seasonally. He’s cooked for Oprah, Bryan Adams and the Duke of Abercorn. Local suppliers are well supported. On the list are McAtamney’s Butchers from Ballymena, the Sperrin Bakery, Glenshane Eggs, Season Harvest and Mill Road Fruit and Veg. This is a real family-friendly venue, with kids’ entertainment at peak times. There’s live entertainment in the bar every weekend so the adults are well-catered for too, in every sense of the word. Food served from 12-9pm every day.